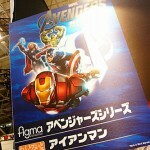 These will also be the 1st Figma figures based on Marvel characters! 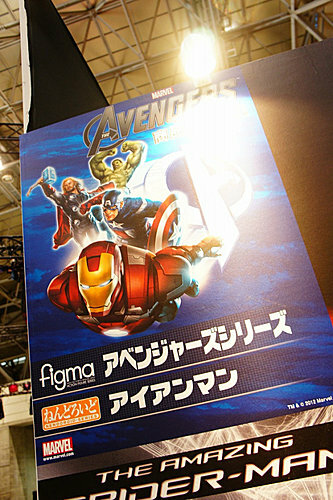 Teaser posters can be seen after the jump. Thanks to Cybergundam Blog for the heads up! F yeah! Now announce a Justice League release too! hehe. Interesting. I wanna see pictures. I like the sound of spidey. I really need to get a look at these, it's either Hasbro 6" Walmart Studio Series or these. I wanna see if they can capture the likeness well. Daaaaaaaaaamn, my money is on these being amazing. My body is ready for this onslaught. Interesting , i would get these depending on the size and price all i can hope for is a Black widow and that would get me interested especially in 6"
But notice, BW isn't on the poster Why won't anyone make a ScarJo BW???? 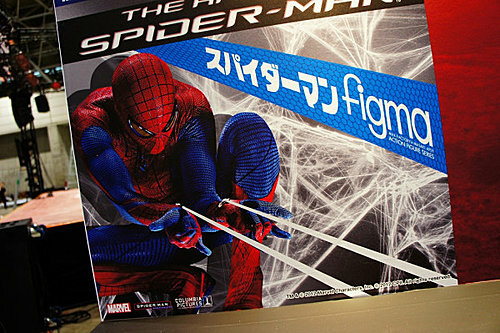 Yeah, assuming they're all wonderful and all how hard is it to get ahold of these figs? It's not like you can drive down to your local wallyworld and pick these up. I hate this ordering on line and eBay crud!!! Any news on these? 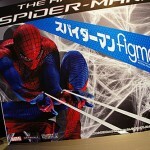 Im about to pic up my first Revoltech figure in the next few days. Trying to decide between Mark II for $30 shipped or possibly getting the Mark VI for around $40. Id love to add these to the mix. Dude if you can find a Mark VI for $40 pick that up! And if there's more than one please let me know. I'm on the market for a Revoltech Mark VI myself (already have Mark III, EX Mark IV and War Machine) but i haven't seen it go for less than $110 brand new. Wow, didn't know that. It just hit $41 with 19 hours left so maybe you're right. I like the base and paint app but how come they didn't hook up the reactor like the MKII? Not sure. It had to be cost related or something of that nature considering both the mark 2,3&4 have it but War Machine and the Mark 6 don't. I wonder if the Mark 5 and 7 will have the Arc light up too?